Isn’t it wonderful to have a pot of soup simmering on the stove on an overcast day? 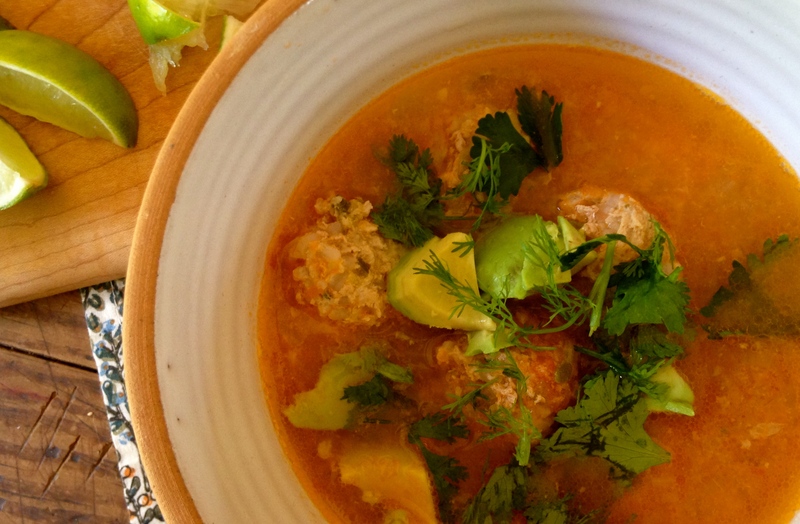 We’ve had our share of overcast days here in Seattle lately and what’s better than a tasty bowl of albóndigas soup! 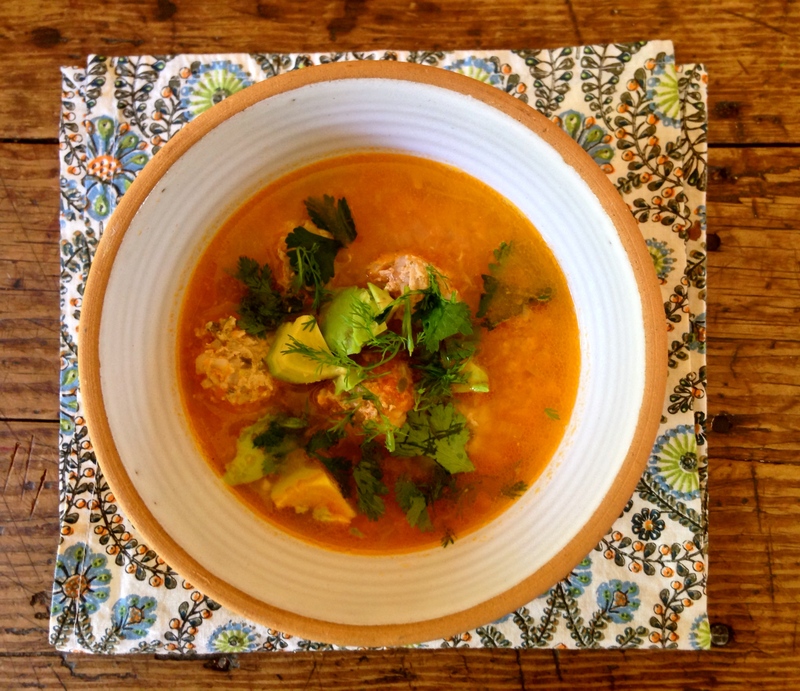 What I love most about albondigas soup is the texture of the moist and tender meatballs. The meatballs are packed with spices, mint, rice and zucchini. The rice grains cook inside the meatballs and puff up as they simmer, which creates a lovely tender, moist texture. This is a pleasantly mild soup, so if you are in the mood for spicy, you may add a few sliced jalapeños to the simmering sauce. Cover the rice well with boiling water and let it soak for about 45 minutes. Trim the zucchini and chop them very finely. Combine the squash, chopped onion and beef to a medium size bowl. Blend the eggs with the herbs and spices until smooth. Mix well with the beef and zucchini. Add salt. Drain the rice and add it to the mixture. Make 24 meat balls, each about 1-1/2 inch in diameter, or any size of your preference and set aside. Pour the boiling water over the tomatoes and allow them to sit for 5 minutes. Peel the skins off of the tomatoes, place them into the blender along with the chopped garlic and blend until almost smooth. Heat the oil and cook the onion gently, until soft. Add the tomato puree, bring it to boil, and let it cook for about 3 minutes. Add the broth to the tomato sauce and lower to a simmer. Add the meatballs, cover the pan, and simmer for approximately one hour and 30 minutes. Serve in deep bowls with plenty of sauce. Garnish with fresh cilantro, avocado and a squeeze of lime. You are currently browsing entries tagged with albondigas soup at COTTAGE GROVE HOUSE.